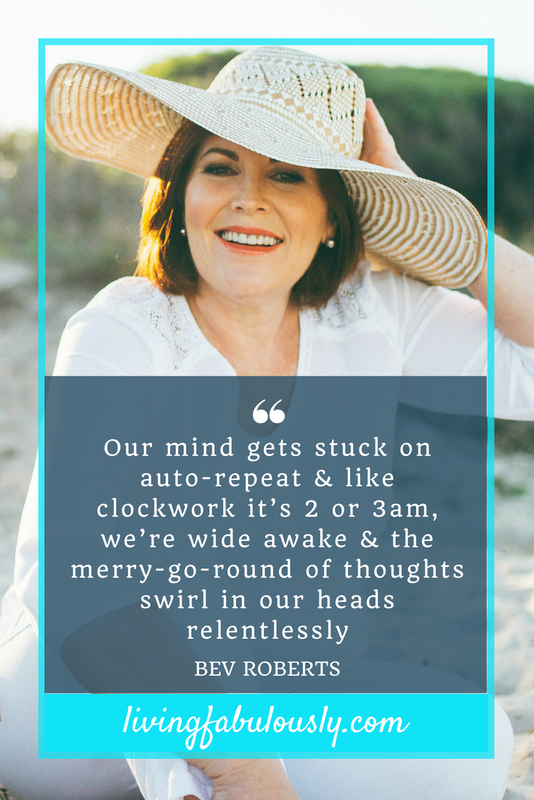 We are midway through Sleeptember®, a month of events focused on supporting you to get better quality sleep so I decided to share 3 tips that I have found particularly helpful to deal with a busy mind and stress. You may find that you fall asleep from exhaustion yet wake up in the early hours of the morning with monkey mind. Use these tips daily to train your mind to put stress to bed! “The fears and worries we don’t acknowledge in our waking life come out to play in the middle of the night"
"Our mind gets stuck on auto-repeat and like clockwork it’s 2 or 3am, we’re wide awake and the merry-go-round of thoughts swirl in our heads relentlessly"
"It is completely possible to fall asleep and stay asleep when we understand that the mind makes a good slave but a poor master"
"Amplifying our perception of the situation is what can create unnecessary worry or fear and yet it may be a blinkered version of the story"
"Place a priority on letting go of those fears before you head to bed so you can have restorative sleep that brings equilibrium easily"
So refreshing to speak to a practitioner who has a practical way of “taking the weeds out of the garden” of our lives. Kay Bayly is a money mindset specialist and Emotional Freedom Technique practitioner. She specialises in helping female entrepreneurs to break through their money blocks in the areas of income, savings, debt and more. If you got value from this episode and if you have not yet done so please Subscribe, Rate and Review on iTunes or Stitcher. You can follow the instructions here. If you know someone else that would get value from this episode as well please share it with them.